Crowns are caps which are placed over broken teeth to strengthen and repair them, restoring the shape of the natural tooth. Crownscan be made of a number of different materials and our experienced dentist will advise you as to the best material dependent on the type of crown required and its placement within your mouth. ✔ Protect damaged or worn teeth from further damage. ✔ Durable and can last long if well taken care of. 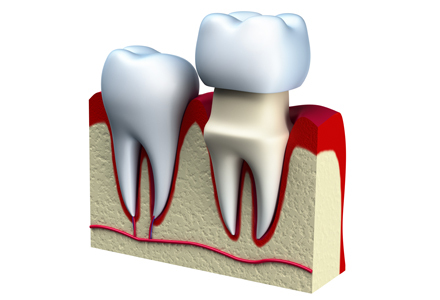 ✔ They help restore a tooth after root canal treatments.